It’s Thursday, Florida State fans. As your day and work week continue to wind down, keep it here for the latest in FSU athletics. The news and notes section of this post will be updated throughout the day. In what was Florida State women’s basketball’s first true road game on Wednesday night, the Seminoles were forced to eek one out in dramatic fashion with a 57-56 win over Mercer. Nicki Ekhomu finished with 27 points in the win, including the game-winning jumper with two minutes to play. Both teams were held scoreless over the final two minutes as the Seminoles improved to 8-1 on the year. Ekhomu finished 11-for-18 from the field and scored 18 points in the second half, but also came through on the defensive end, drawing a charge with three seconds left to help preserve the victory. Kiah Gillespie finished with 14 points and a game-high 12 rebounds in the win. Nausia Woolfolk scored 12 points in the victory. Mercer’s KeKe Calloway led the Bears with 21 points while Amanda Thompson added 18 points and eight rebounds in the loss. 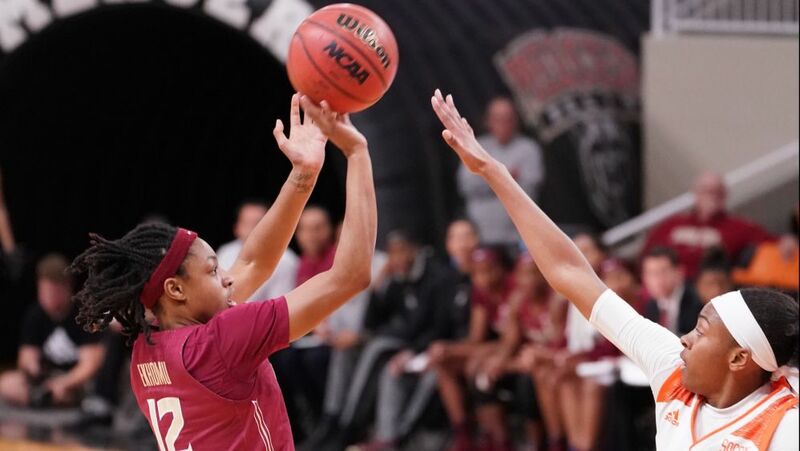 FSU women’s hoops played the only scheduled FSU athletic contest for Wednesday. There are no FSU athletic events scheduled for Thursday. FSU women’s golf coach Amy Bond was presented the Founders Award by the Women’s Golf Coaches Association. FSU quarterback commitment Sam Howell had a “good visit” with Florida State head coach Willie Taggart and receivers coach David Kelly on Wednesday.